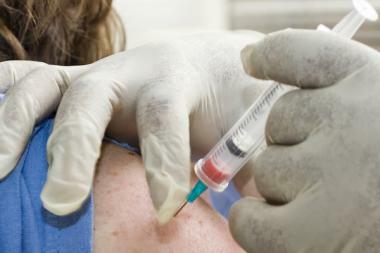 Residents in the 49th ward can get a free flu shot at Ald. Joe Moore's office this Saturday. ROGERS PARK — Stay ahead of the sniffly winter blues with a free flu shot courtesy of the 49th Ward and city's health department this Saturday. From 9 a.m.-2 p.m. (while supplies last), Ald. Joe Moore's office at 7356 N. Greenview Ave. will be open, and the Chicago Department of Public Health will be offering flu vaccinations free of charge to residents. According to the Centers for Disease Control, the influenza virus generally peaks in January and February and in serious cases can lead to hospitalization or even death. The CDC recommends flu shots especially for the elderly and very young, who are most vulnerable to complications from the illness.